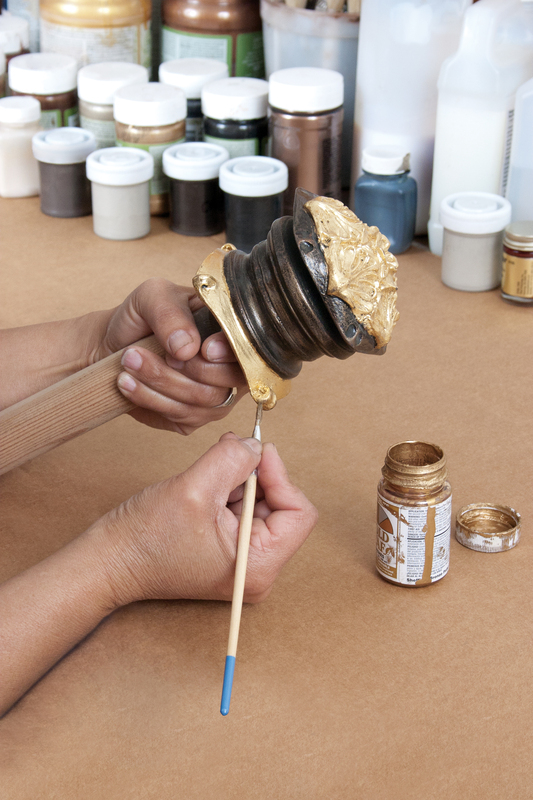 Our view on design and the creative process with a focus on decorative hardware. 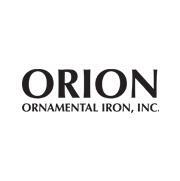 Orion Ornamental Iron, Inc. is an innovative custom drapery hardware manufacturer based in California where we design, fabricate and hand-finish all of our products. 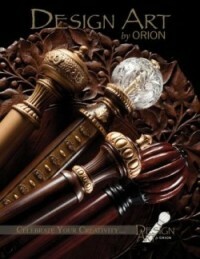 Our two main brands are Iron Art™ by Orion and Design Art™ by Orion. The Iron Art line offers a wide range of iron rods, finials, rings, traversing systems, and accessories for styles from traditional to contemporary and everywhere in-between. The Design Art line has recently been introduced, and features gorgeous drapery hardware designs in wood and crystal. The collection was developed with input from designers, and has everything you need for complete drapery hardware sets to meet all your decorating needs. 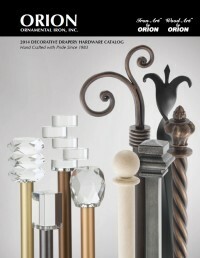 Our team of designers, skilled artisans and crafts persons create a wide range of finials, drapery rods, wood poles, cornices and crowns, one way draw systems with unique “C” rings, traversing systems, and window accessories We also offer a wide range of products for an extraordinary array of applications and solutions that today’s windows demand. The one and only gateway to the treasures of custom designed Decorative Drapery Hardware Collections. We especially excel in delivering assignments that required custom design, custom parts or a one-time fabrication task. Our customer program comes with personalized services, ordering support, online deliveries and an excellent after-sales support. Subscribe to our weekly emails to stay up-to-date on new products, services and events. We offer monthly complimentary webinars on design and window covering topics and how-tos for decorative drapery hardware.